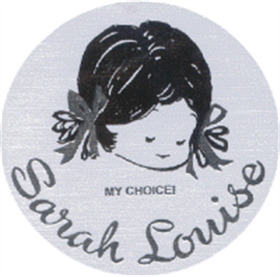 Sarah Louise caters for girls and boys of all ages and for all occasions. Sarah Louise is known for its attention to detail and traditional hand smocking, producing items which are classic yet stylish. 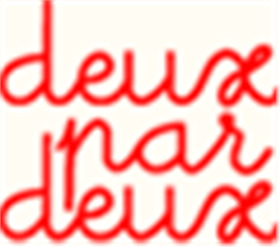 Deux par Deux is a designer of modern and funky girls clothing, particularly suited to children's parties. Their range features a colourful mix of girls dresses, skirts, tunics and leggings. Comfortable styles in pastel shades are a signature of Emile et Rose. 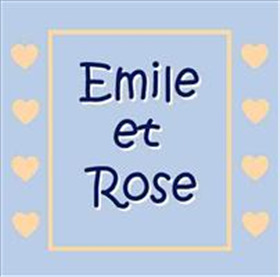 All items are high quality and are reasonably priced, making Emile et Rose outfits and accessories perfect gifts for newborn babies. 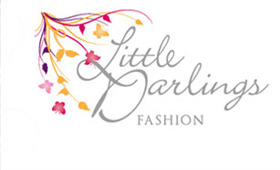 Elegant, smart, luxurious, unique, stylish...all words used to describe the fabulous Little Darlings collection which has become renowned for high quality classic clothing with a fun contemporary twist. Mayoral spanish kids clothing. Bright and colourful boys and girls clothes by Mayoral. Boys Mayoral collection consists of a full range of t shirts, tops jumpers, coats, jackets tousers and shorts. 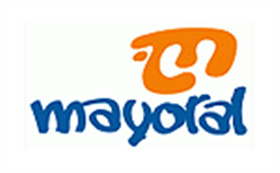 Mayoral for girls dresses, tops shorts, skirts, jackets and coats. Summer Mayoral is a must for all trendy designer kids! No No specialize in unique and contemporary clothing which will highlight your daughter's individuality! Funky brights and trendy co-ordinating outfits are the essence of this high quality designer brand and are perfect wear for parties. 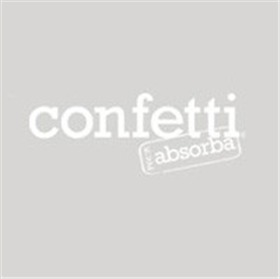 Absorba / Confetti is famous for its high quality children's range featuring modern designs at reasonable prices. 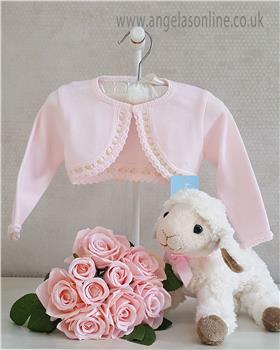 It has provided the perfect solution for a baby's need for quality and comfort in couture. 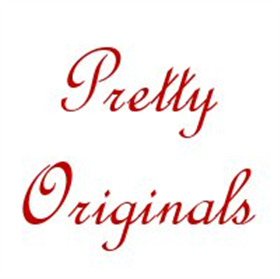 With an emphasis on delicate embroidery and subtle colour palettes, Pretty Originals is the perfect choice for any occasion with collections including soft knits, collared shirts and hand smocked dresses. ZaZa Couture specializes in cool and contemporary clothing. With unique and colourful prints on cute and feminine outfits, ZaZa couture is a funky and exciting choice of designer for your little girl. 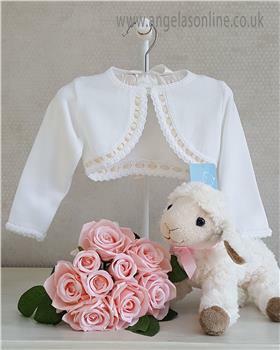 For over 30 years we have prided ourselves on sourcing the very best in affordable exclusive children’s clothing designs, bringing them to you from all over Europe and beyond. 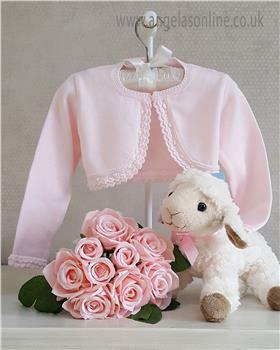 We are currently leading stockists of well known children’s designer brands such as Sarah Louise, Emile et Rose, Little Darlings, Mayoral, Absorba, Deux par Deux, and many more, all at affordable and competitive rates. Our collections are fresh, contemporary and at the height of current fashions, ensuring your little ones look stylish and stand out from the crowd! At Angela’s we cater for all occasions from casual wear, perfect for play, to smart outfits for parties and special occasions. The outfits we stock range from pretty pastels to funky brights and you will always find something to mirror your child’s personality and developing fashion tastes. Kate Mack, Sarah Louise, Tutto Piccolo, Emile et Rose, Mayoral, Coco, Pretty Originals, Laranjinha, Mebi, Granlei and many more! 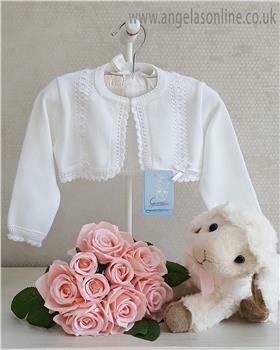 We also stock extensive Communion and Christening ranges, which include elegant dresses and exquisite outfits from leading designers Sarah Louise and Alice James. Shop with confidence on our secure online store! We have exclusive online offers and discounted sale items on all designer brands. Angela's Online is constantly updated, but to view our collections in full, why not pay us a visit, and meet our dedicated and friendly team in one of our shops. Childrens designer clothing summer sale 2018 now started. Fabulous new summer 2018 collections. Mayoral is stunning. Tutto Piccolo is so pale blue for boys! Sarah Louise traditionally classic smock. Pretty Originals knitwear and dresses so adorably cute. Come and explore Angela’s of Liverpool today! Sign up if you wish to receive our special offers!